If there’s one thing that all accounts payable (AP) departments stand to benefit from, its greater accessibility to invoices and purchase requisitions. 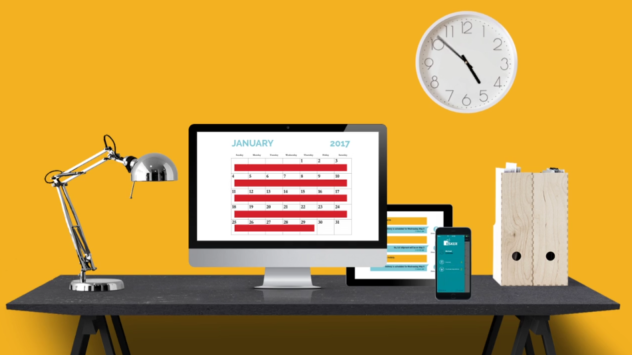 We can all agree that work isn’t confined to the office, so why should your AP processes be? As the integration of business processes and technology grows and strengthens, so do customer expectations when it comes to speed and accuracy. One way AP departments can meet and exceed those expectations is by way of a mobile application. With one, managers are provided on-the-go, always-on access to: invoices, purchase requisitions, invoice approval or hold, document lists, key data, line items, original documents, and the sending of documents back to the AP department or previous approver. The best part of using a mobile app for purchase requisition and invoice approval? The benefits of one span the entire P2P cycle. A mobile app allows managers to access invoices and purchase requisitions at any time and any place. Whether it’s a holiday or during travel, invoice and purchase requisition approval is always just a click away. Managers have on-the-go accessibility to invoices and purchase requisitions with a mobile app, enabling continuity and speed in AP processes. During travel, there’s no need to wait for managers to be back in the office for approval — they can approve on their time, from wherever they are. Approving invoices and purchase requisitions is as simple as hitting a button thanks to mobile applications like Esker Anywhere™, available for both Apple® and Android™ devices. Rapidly resolve any exceptions and move forward with approvals from a single app. Doing so fosters positive relationships with suppliers and speeds up the invoicing process. With fewer bottlenecks along the way and less effort needed for approval, efficiency in the P2P process is improved. Learn more about how a mobile requisition and invoice approval app can help your business by watching the video below!